J D Bush Decorators regularly carry out work in shopping centres, hotels, restaurants, pubs and offices. 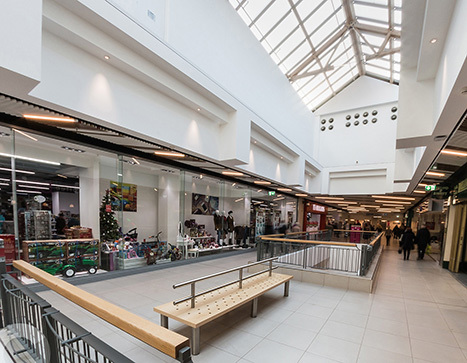 We have recently carried out the full refurbishment of The Mall Maidstone on behalf of Stanton Construction as part of a £5million refurbishment project. On an industrial level, we regularly carry out work in warehouses, factories, food manufacturing sites and many more industrial sites. Previous jobs have included the application of specialist floor coatings and powered access works to steel structures.